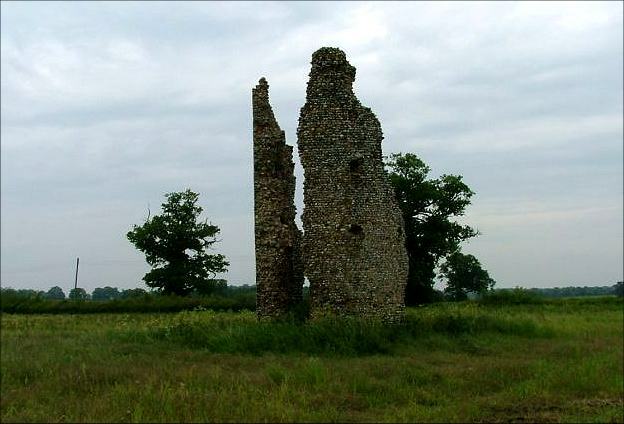 There's no village, just the Hall farm, and the remains of the round tower of St Mary sitting in a field on the outskirts of Scole. Bill WIlson, revising Pevsner in 1999, describes three erect shapes as if made by a modern sculptor, which is eloquent if not true; there have only been two standing uprights for many decades. A red brick outline suggests that there may once have been a west doorway, which would be unusual, and most likely was just a west window. 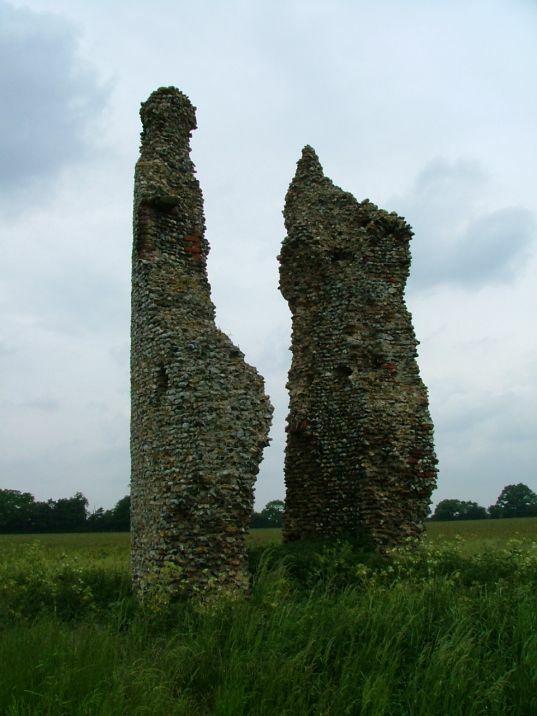 There are remains of high Norman arches, but virtually nothing of the eastern side of the tower remains, so it is not possible to say what the tower arch was like. 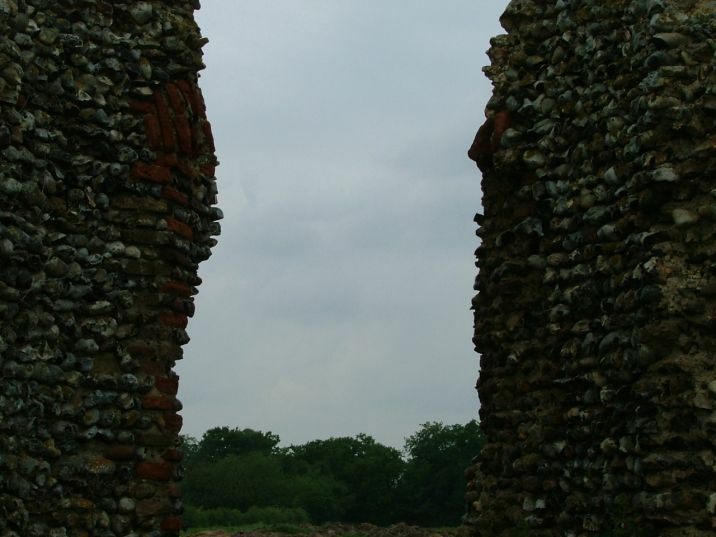 This is one of the easiest of all Norfolk ruins to find. 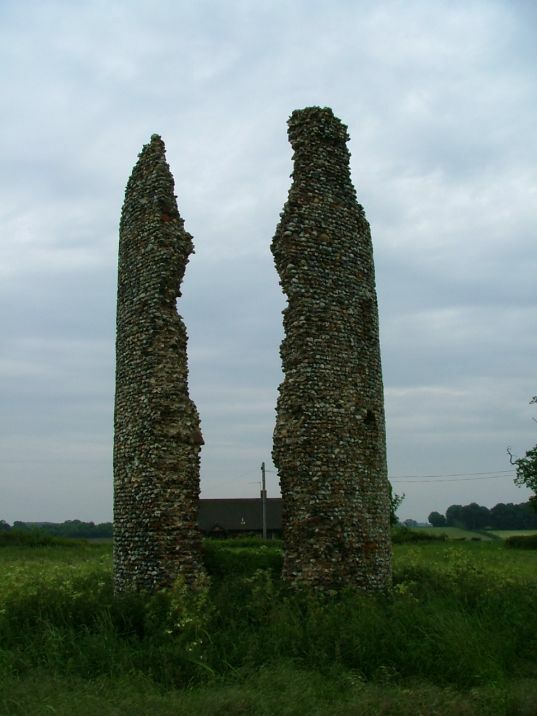 It is visible to the north of the busy Diss to Bungay road, and although it is not marked on an OS map, it was almost exactly halfway along a line drawn between Scole church and Billingford church, a half a mile or so from each. 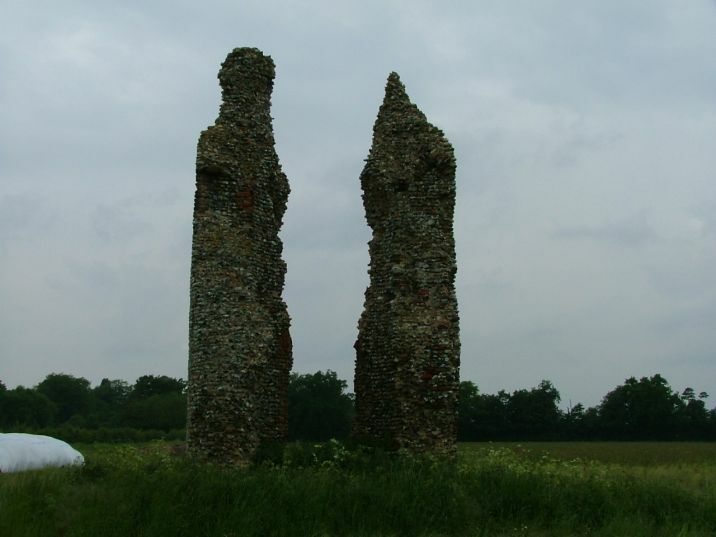 Leaving Scole on the A143, there is a hard-standing road off on the left at the end of a row of red-brick council houses, which leads directly to the field where the ruin is.